Anyone as Blade Runner-obsessed as me (or even less so, for that matter) will recognize the iconic surroundings in the rendering above, not to mention desperately wishing it was a game we could actually play. If you peek in the gallery, you'll also see familiar scenes from Alien and I Am Legend. These jaw-dropping re-creations were made using the Sandbox 2 World Editor. 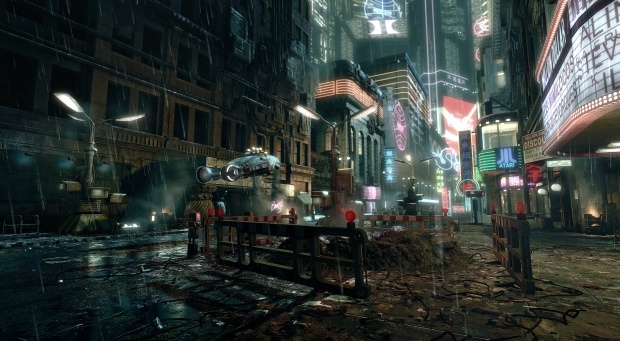 The Blade Runner one actually won first place in a contest over at Game Artist forums. You can go there to see even more details of what this winning team worked on (go and drool if you're a huge Blade Runner fan). Anyone other than me play the old Westwood Studios Blade Runner game way back in 1997? I loved being able to interactin that world, but getting a look at this stuff makes me fantasize about playing the same game in gorgeous HD graphics ... just the thought makes me kind of trembly (in the good way).